My name’s Claire and I’m a policy advisor in the small business team at the Health and Safety Executive (HSE). In this guest blog, I’ll be sharing 5 basic steps to help you manage health and safety for your business. Health and safety laws apply to nearly all businesses (for certain types of self-employed worker there are exemptions). As an employer, or a self-employed person, you’re responsible for health and safety. The laws are there to protect you, your employees and the public from workplace dangers. Managing health and safety doesn’t have to be complicated, costly or time-consuming. For many businesses, you just need to complete a series of practical tasks that will safeguard people from harm and protect the future success and growth of your business. The approach you take should be proportionate to the size of your business and the nature of your business activity. For most small, low-risk businesses, the steps you need to take are straightforward. If you’re a new and growing business, register for the next HSE and HMRC joint webinar on Wednesday 12 December at 10am. So, what are the steps? 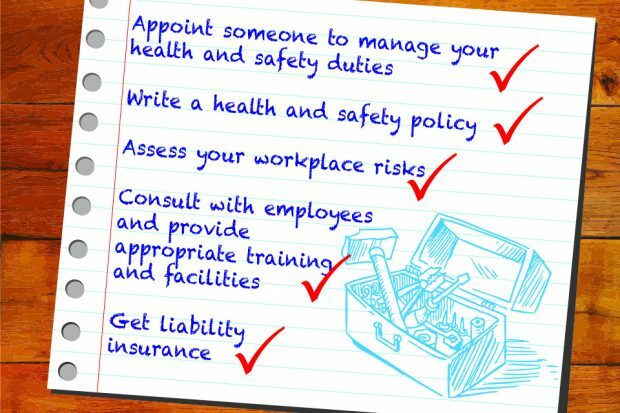 As an employer, you need someone with the necessary skills, knowledge and experience to manage health and safety for your business. If you run a low-risk business, it’s likely you or another employee can carry out these duties. If you’re a higher risk business, you may want to get some extra help or advice. You need to let your employees and others know about your commitment to health and safety. The easiest way to do this is through a policy. It should cover who’s responsible for what, when and how. HSE provide templates and example policies to make this as easy as possible. Tip: If you have fewer than 5 employees, you don’t need to write down your health and safety policy. To control risks in your workplace, you need to think about what might cause harm to people and decide whether you’re taking reasonable steps to prevent that harm. You’re probably already taking steps to protect your employees but by completing a risk assessment, you’ll know you’ve covered everything you need to. The HSE toolbox provides more help and ideas on the ways to control your business risks. You need to consult with all your employees on health and safety. You should talk to them regularly about the work they do, how risks are controlled and what information or training they need to stay safe. When you provide training, ask your employees what they think about it to make sure it’s relevant and effective. Keeping training records is the best way to identify when refresher training might be needed. You also need to make sure you’re providing the right workplace facilities. If your business has employees, you’ll probably need employers' liability insurance. If an employee is injured or becomes ill as a result of the work they do for you, they can claim compensation. But, as long as you’ve taken reasonable steps to prevent accidents or harm to your employees (and the injury or illness was caused after 1 October 2013), you shouldn’t have to pay compensation. If a court does find you are liable, employers’ liability insurance will help you to pay any compensation. Only a few businesses are not required to have employers' liability insurance. If you have no employees or are a family business and all employees are closely related to you, you may not need it. Following these 5 basic steps will set you up to manage health and safety for your business. 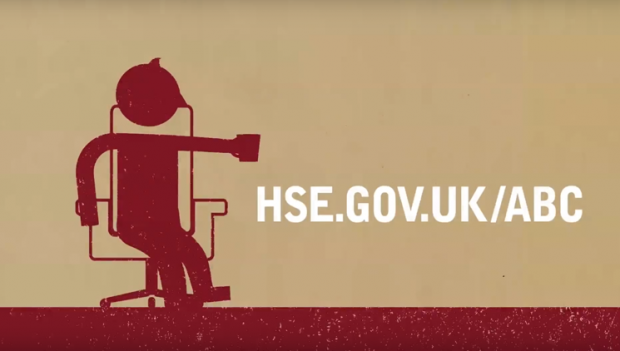 For more information and to find out what else you might need to do, like displaying a health and safety law poster, visit the HSE website. To keep in touch, sign up to email updates from this blog or follow us on Twitter. That's a great idea and great help, thank you at all time for always being there for people, well done for your great work.